This picture describes how some people argue. Today I want to show an example of a fallacious use versus a proper use of ad hominem argument. It is a logical fallacy when an argument ends up being a personal attack on a person’s character that logically add no merit or support for the conclusion being argued for. An example of this is when someone has to resort to name calling instead of interacting reasonably concerning the subject at hand. Just because someone makes a claim that the floor is wet and happens to be annoying, a Marxist or a Christian doesn’t make the the claim automatically false. However, there are possible instances in which an ad hominem argument would not be fallacious as a rebuttal in the circumstance of appealing to that person’s own set authority/advice that they put forth and then showing how that person fail to be bound by it. It is not use to argue for one’s own position as true per se but strictly as a rebuttal. 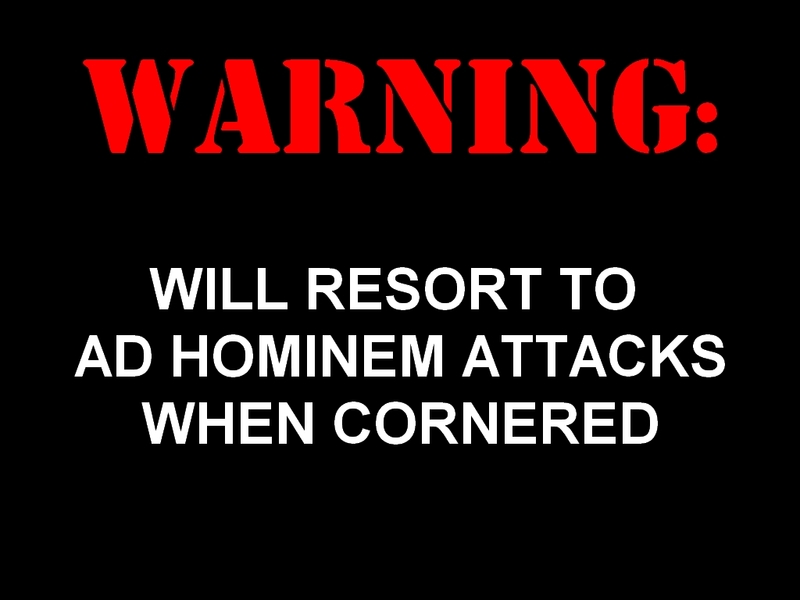 What’s an example of an ad hominem fallacy? I will use an example from a recent exchange on our blog with a guy name “Descriptive Grace” at the comment section of EvangelZ’s post on Gospel calling. (You can go over there and read the short back and forth if you like). Do you not agree that Paul thought the second coming was going to take place in his lifetime? I thought everyone acknowledged this! Wow, I found a few fundamentalist who are so far off into their fundamentalism they can’t even acknowledge this despite every other fundie on earth acknowledging it. Its a much bigger waste of time to try and reason with anyone so fossilized in traditional errors as to not acknowledge that Paul taught the second coming was going to happen in his own time. Note how he did not answer my question but proceed to just label us as fundamentalists, say that I’m “fossilized” and imply that we are extreme “fundie.” All this does not deal with the issue or the question at hand, which is quite descriptive of a fallacy (as opposed to being gracious, the irony). Descriptive Grace, I just asked you a question about what other mistakes you believe Paul has made and note how our view of the Bible will shape our view of soteriology. Your response committed an ad hominem fallacy here and you know it. Calling someone a fundamentalist does not end the debate on Paul and whether or not his words in the Bible are inerrant, no matter what you may think. This is nothing but an ad hominem fallacy tactic. My point here would be that he is committing an ad hominem fallacy and he knows better not to commit it. I would be curious to see how he respond to these words. Calling someone a Pelagian does not end the debate on grace, no matter what the Calvinists may think. This is nothing but a strawman tactic. And the fact is, Pelagius himself has been strawmanned. He should know better than to commit an ad hominem fallacy in light of his own words arguing against some unnamed Calvinists that he’s shadowboxing. That’s the point of this proper use of an ad hominem rebuttal. I am reviewing this book from the standpoint of a Christian worldview though the book is not Christian. This is a book about the internet and internet sensation, what today people refer to as something “going viral.” The author was the founder of “Flash Mob” and his account of how it began, his planning and reflection was an unexpected part of the book–and I think this alone is worth reading the book! What I took away from this book is the fact that things on the internet can come and go at a much more vicious cycle than in other past culture–one can overnight be an instant celebrity mentioned as a household name and searched on google by millions of individuals in a manner of hours, only to have people forget about you just weeks later, as the internet moves on to other “nanostories.” At the time of this writing, I wonder if a few years from now people will know of Susan Boyle of “Britain Got Talent” fame and Charles Ramsey who freed Amanda Berry (or even in a few weeks!). The book reminded me of the theme from the book of Ecclesiastes in the Bible about “vanity” and how everything moving on and fade like a mist which accurately capture our internet viral age. Even one’s legacy is something one can’t control especially in the viral culture since events and individuals can easily get imposed upon with a story or spin online to fit a larger narrative something the author discusses. The book also talks about how this viral culture on the internet has allowed a level playing field of regular people to blog and become a celebrity of sorts in their own rights, and also individuals to be pundits whom in the day of traditional media would have not been able to make an impact of hundreds and thousands of people. Think of blogs. Think of twitter. Sometimes the mainstream media end up covering the news of what’s going online on social media! And no doubt this very review online is an example of that. Very interesting work. The author is quite insightful, witty and makes you reflect about the age we live in. I highly recommend this work–and I don’t want to take away from this work, but this book got me thinking about “The Next Story: Life and Faith After the Digital Explosion” by Tim Challies which is an attempt at a Christian theology of technology. This was one of my favorite debates. I hope and pray that the Lord would use Paul Manata in the future of apologetics, philosophy and theology. There are many books out there that concentrates on the topic of how to do discipleship in the church. Some are exceptionable and some are inadequate and poor. There are so many notions on how to do discipleship in the church. Some are business, market, or professionalized-driven raher than Bible-driven. 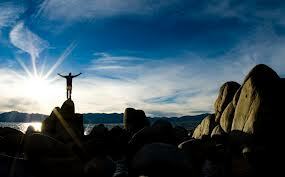 Discipleship that is Bible-driven is concerned about the glory of God and people’s spiritual well-being/Gospel growth. If you desire your ministry to operate in the realm of changing lives, rather than meeting the criteria of the world, which is based on success, rather than excellence, I recommend that you read this book. Some of the major themes that you will be exposed to is the call to be pastor-trainers/trainers for the sake of Gospel. If you have the ministry mind of a pastor-trainer and the desire to see Gospel growth, then you will have a ministry mind that will help you change how you do discipleship and minister for the sake of the church’s health. Some components that I really appreciated about this book was its emphasis on the vine as being the foundation for ministry. 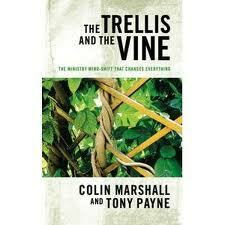 The vine is evangelism and discipleship. Too many times, churches focus on the trellis (i.e. programs, structures, etc.). Not that they are not important, but we must be careful not to put the horse before the carriage. As a result, they spread themselves thin because the priority is not seeing the lost get converted or seeing believers get discipled. Some people come for programs or desire different types of ministries to suit their needs, but they do not desire to make disciples. Leaders need to be careful not to give into this pressure or live under the umbrella of people’s wishes, but must take serious heed to Jesus’ command to make disciples (cf. Matthew 28:19-20). To not take heed, will be disastrous to Gospel growth. You may have a growing church due to more programs, etc., but the essential notion to keep in mind is whether the saints are being discipled. Building disciples from the pulpit is not enough. The book points out that you will need to meet with people whether it be one-on-one or more. And as the numbers grow, you will need more workers in order to keep up with the demand and you will need to take the notion of training new workers seriously. It is not a one man show. It is about finding more faithful workers to come alongside in doing the work of the ministry (2 Timothy 2:2). As people are growing in discipleship and zealous to grow more and more, they will come up with new ideas and will desire to grow others. It will be a little messy and you will probably think there needs to be more structure. The author describes that as a good thing because they are growing. Because you are working with people who are tainted with sin, you will need to expect some chaos, etc. But overtime, through your conviction (“knowledge of God and understanding of the Bible”), character (“godly character and life that accords with sound doctrine”), competence (“ability to prayerfully speak God’s word to others in a variety of ways”), things will begin to gel (78). Another point of importance when it comes to discipleship, is the book’s wise exhortation to trainers, “The motivation to serve and to be trained will come from the gospel and from a deep work of the Spirit in people’s hearts. It won’t come from you going on and on about training, and harassing people until they finally sign up! It’s grace, not guilt. Don’t make ‘training’ the new test of true discipleship” (165). That is a great quote to keep us humble. There are so many other important points to consider, but I will leave you off with this vital point that the book tells one to take mental note of for pastors and trainers, “…we must be willing to lose people from our own congregation if that is better for the growth of the gospel. We must be happy to send members off to other places so that the gospel may grow there as well. And be warned: this will happen if you take gospel growth and training seriously. If you pour your time into people, and mentor and train them, the consequence will often be that some of your best people–in whom you have invested countless hours–will leave you. They will go to the mission field. They will join a church-planting team in another part of your city. They will take a job in a different part of the country because the gospel need is so great there. They will undertake further training, perhaps at theological college or seminary. A commitment to the growth of the gospel will mean that we train people towards maturity not for the benefit of our own churches or fellowships but for the benefit of Christ’s kingdom” (83). 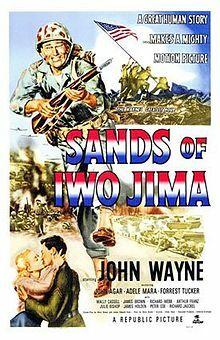 I just recently watched this movie for the first time about a year ago. 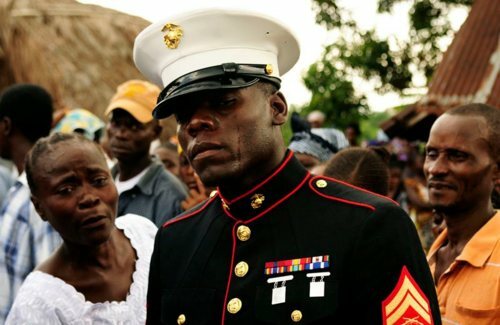 As a Marine the theme of sacrifice and combat loss made me think about how the human condition of the Marines had some similiarities then with the conditions today. That’s not to say that everything is the same–obviously the Old Corps faced much more difficulties. But I appreciated the film capturing the times. Divine calling/Gospel call can be defined as the call that invites and draws the unsaved person to Christ for salvation. The definition may not be straight forward, as it seems because there are particulars that needs to be considered. For example, what are the different callings of God? Is the Gospel message effective that people hear, read, and see, effective? In order to tackle that, we need to understand that there is general call and irresistible/effectual call. Is a calling necessary and can the calling be resisted? Next talking point will be the historical views. But before we get into it, I will try to define and describe the terms that are critical to our understanding of Divine calling. The first term to cover is effective/effectual calling. Effective calling can be defined as the act of God the Father that operates in the context of the Gospel proclamation in which He calls people to Himself for salvation. Effective calling is referred to as internal calling. The Gospel call is offered to all people—even to those who do not desire the Gospel. Sometimes, the Gospel call is referred to as external calling or general calling. Since the Gospel call is the vehicle used in Gospel proclamation and is intended to be preached to all, it can operate as an effective call or general call to the sinner. In order to get more clarity, it will be beneficial to see the elements involved. The elements of the Gospel call, which invites sinners to embrace the message, involves the explanation of the facts concerning salvation. The facts concerning salvation indicates that all of mankind have sinned (Rom. 3:23), the penalty of sin is death (Rom. 6:23), and Jesus Christ died to pay the penalty of sin (Rom. 5:8). Another element is the invitation to respond to Christ via repentance and faith (Matt. 11:28-30; Matt. 11:28; John 1:11-12); and thirdly a promise of forgiveness and eternal life (John 3:16; Acts 3:19; cf. 2:38; John 6:37). Let’s now move into the historical views. As for the general call, Pelagians and Liberals believe that the call can be responded to without divine assistance. In other words, humans can respond with their own strength. This humanistic thinking is a result in a denial of original sin, denial of total depravity, and a belief in the universal fatherhood of God upon everyone. As for Lutherans, they believe that the special ability to hear the Gospel maybe resisted. Also the universal call to salvation in their mind, brings some measure of illumination that reveals that sinners need Christ and are provided some measure to respond to the Gospel message. However, they do believe that sinners may resist God’s grace. In their perspective concerning external calling and internal calling, they do not believe that there is a Calvinistic distinction. When it comes to the Arminians, they believe that all are able to respond to the general call. They believe that there is a single, general call of God to the sinner for salvation. They believe that the emphasis on the general call and inner effectual call from Calvinism is not warranted. As a result, general call and effectual/inner call should not be distinguished from their perspective. Arminians also believe that since prevenient grace neutralizes the effects of Adam’s sin, all people are able to respond to God’s universal call to salvation. They also believe that those who respond to God’s general call are the elect and the called. Moreover, since prevenient grace neutralizes the effects of sin that came from Adam, sinners are able to respond positively to God’s Gospel call. Also, the Spirit’s work in calling people to faith is resistible. As for the Reformers, the general call (which happens in the Gospel proclamation) can be resisted, but the special call cannot be resisted (Romans 8:29-30). This camp believes that because of sin and total depravity, a person does not have the ability in his own strength to believe God for salvation. Man cannot respond to God on His own because of total depravity (Ephesians 2:1-2; 1 Corinthians 2:14). Man’s mind is marred by sin and can never respond to spiritual things. As a result, a sinner needs the Holy Spirit to intervene (John 3:8; Titus 3:5). As stated earlier, general call is for all to hear, but the response to the general call depends upon the gracious power of God’s Spirit. If he chooses to work upon an individual, then the person will respond. Once they respond, then it becomes a special call or effective call. Another important area to cover is the language of calling. In the Old Testament, the verb qara and the root-related words occur 689 times and means, “to call out” or “invite.” And in the New Testament, the term kaleo, which means, “to call,” is a term that is used 148 times. When Apostle Paul uses the words kaleo (29 times), klesis (8 times) and kletos (7 times), it is almost always used with the sense of divine calling. Apostle Paul understands that the calling is the process by which God calls those who are elected before the foundation of the world. And He does that for the elect in order to justify them and sanctify them. On another note, in the NT Epistles and Revelation, the word kaleo is a particular word and related word that becomes a technical term used in conjunction of drawing sinners to Christ through His powerful Word and Spirit. Moreover, the effectual drawing that happens in the context of the Gospel call/general call, brings sinners to faith. For that example, please see Matt. 22:9; Acts 2:39 (proskaleomai); Rom. 8:30; 9:11; 1 Cor. 1:9, 26; 7:20; Gal. 1:6, 15; 2 Thess. 2:14; 1 Tim. 6:12; 2 Tim. 1:9; Heb. 3:1; 9:15; 1 Pet 2:9; 2 Pet. 1:3; Jude 1; Rev. 17:14; 19:9. In each of those verses, those whom God called, inevitably came to saving faith in Christ because those whom God elected will come to salvation (Ephesians 1:3-4) I will now move into the OT and NT understanding of the external call of God. The general call, which is also referred as the Gospel call because of its general invitation, takes place whenever the Gospel or the Word of God is preached. It is used in the OT (Isa. 45:22; Isa. 65:2; Jer. 7:13) and in the NT (Matt. 11:28; Luke 5:32; Luke 13:34; Rev. 22:17). It must also be remembered that the Gospel call is not a sham or deception. Anyone who responds will be saved. And when people do not respond, it is not God’s fault, but it is the fault of the person who desires a lifestyle of rebellion. Scripture indicates that the fault of the person not being saved lies not with God, but with the spiritual impotence of the depraved person. God does not force people to sin or make them sin. God is holy and perfect. For example, they do not respond because some hardened their hearts (Exod. 7:13; 8:15, 19, 32);“there is no one who understands” (Rom. 3:11); and things that come from God are foolishness to the unbeliever (1 Cor. 2:14). In order for them to respond, they need their eyes open by the sovereign Holy Spirit. Wayne A. Grudem, Systematic Theology: An Introduction to Biblical Doctrine (Leicester, England: Inter-Varsity Press, 1994), 692-693. Memorial Day is next Monday. There was a time every Memorial Day I use to look up the pictures of every service member that was killed in the line of duty in a combat zone. I would start with the previous year’s Memorial Day and go on to that year’s Memorial Day. I began doing this in 2003 when I was in Iraq and found a newspaper (either Stars and Stripe or Marine Corps Times) that did that. Each year the rows of pictures got longer. More faces. Eventually around 2007 I stopped this tradition. It was too painful. I believe the newspaper stop doing it too. I think everyone in our country at least once in their life time should go over a year’s worth of names, pictures, their age, where they are from, their service, unit and their story. See the dates and reflect back on the last year you had. The link is HERE. As of this post, there are 233 individuals on that list and no doubt more will be added before we get to Memorial Day.